This video shows a few tips for stick welding socket welds, tig brazing using silicon bronze filler wire to keep heat down, all while making a lamp. 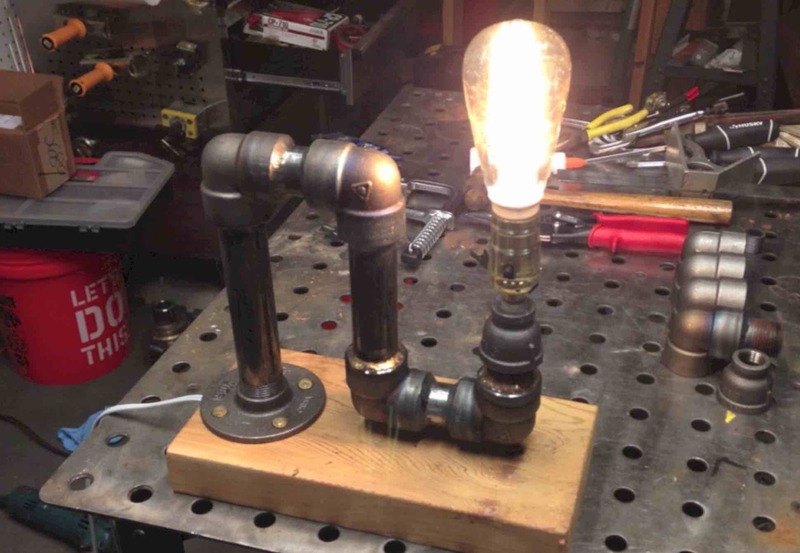 I saw a few industrial lamp projects on instagram a while back and decided to build 2 of them but instead of using threaded pipe, I used socket weld fittings. ... this gives me a chance to stick weld some socket welds and have a couple of industrial lamps when I am done..instead of some scrap pipe. I also did 2 other videos previously using socket welds where I made a socket weld chinup bar and some industrial bookends using socket weld fittings. 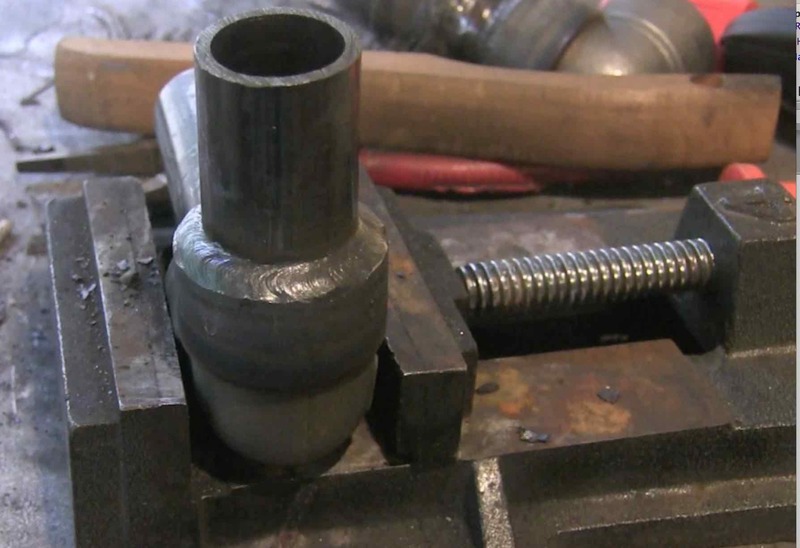 Amperage and rod angle are 2 of the most important things for stick welding socket welds. In this video I used 3/32” (2.4mm) 7018 rods and only did a single pass but its worth noting that in the pipe welding industry, some codes require more than one pass. I used 85 amps for this video. it worked ok for welding on the bench but for out of position field welds, slight less amperage might work better. the goal is to set amps hot enough where you don’t stick the rod….but low enough to allow you to go slow enough to reposition your hands or body to maintain a favorable rod angle. Most of my pipe welding experience was on nuclear plants and 6010 rods were not used at all. But I did work one paper mill where I kept 6010 1/8” (3.2mm) and 7018 3/32” (2.4mm) rods in a rod pouch and set amperage to 85-90 amps for both rods. When you on a construction job and 200 feet from your welder, you dont want to have to change amperage very often. fortunately, there is almost always an amperage that works for both 6010 1/8" and 7018 3/32. Sometimes 6010 is used for a root pass on socket welds and for tack welding as you fit them together because 6010 restarts so much better than 7018.
after tack welding and root pass is welded using 1/8” 6010. coming back with a 3/32” 7018 at same amperage works pretty good. As I mentioned, threaded pipe would have been much easier…but since I used socket welds, I had to figure out a way to protect the power cord while I welded. So I used some Tig Finger material and fed the power cord inside it. then I used silicon bronze tig wire to make the last handful of welds to keep the heat down. Silicon bronze is not as strong as er70s-2 tig wire …and I would never use it for socket welds that held pressure. but for ornamental stuff, its very useful. I also use silicon bronze tig wire for fixture sometimes because it distorts less than welding wire.